02 and Nokia are rolling out two Massive MIMO (multiple input-multiple output) trials in the King’s Cross and Marble Arch areas of London. They say this work will pave the way for 5G deployment across the capital. Massive MIMO makes mobile networks more efficient by allowing multiple beams of data to be transmitted from the antennas to the device. This boosts speed and capacity. The locations have been specifically chosen as they have high levels of data traffic. 02 plans to boost coverage in these areas and assess the technology for roll-out elsewhere. Over 95 million people pass through the King’s Cross/St Pancras each year and more than 14 million people travelled through Marble Arch in 2017. The pilot will deploy Nokia’s Massive MIMO technology as well as the 2.3GHz spectrum that O2 won in Ofcom’s auction earlier this year. O2 was the only UK network to secure extra 2.3GHz capacity. 02 says that as well as boosting capacity in these areas today, the trial will also lay important foundations for 5G. Massive MIMO technology is expected to play a crucial role in meeting the increased data demand that 5G will drive. Ofcom’s 2018 Communications Market report finds that the average user consumes 1.9 GB of data per month. Earlier this year, GiffGaff predicted that the average user will consume 98.34GB per month by 2025. This entry was posted in 5G and tagged 02, 5G, MIMO, nokia on November 28, 2018 by Tim Cosgrove. This entry was posted in LiFi and tagged 02, 5G, LiFi on August 16, 2018 by Tim Cosgrove. 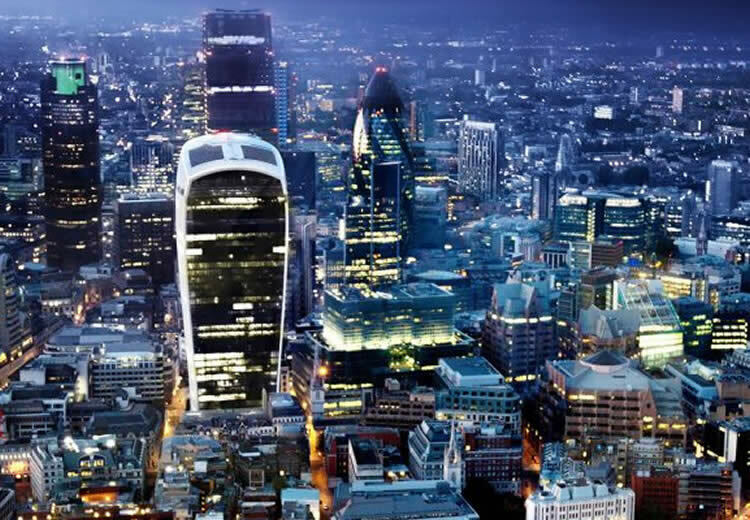 UK infrastructure company Arqiva and O2 are to deploy up to 300 outdoor small cells across London – one of O2’s biggest small cell installations so far. The cells will increase the mobile network’s capacity and coverage in 14 boroughs. Rollout will start this summer and be completed in 2020 in areas where the demand for data is particularly high, such as close to transport hubs and around shopping areas. This long-term agreement between the two companies is intended to pave the way for the rapid deployment of 5G when it is available. As their name suggests, these cells are tiny compared to the phone masts required by previous generations of mobile technologies. There are various kinds of small cells, but they are all low-powered cellular radio access nodes that can operate in licensed and unlicensed spectrum, and can have a range as short as 10 metres or up to a few kilometres. Small cells can be attached to street furniture, including lampposts and the sides of buildings, and make efficient use of spectrum by re-using the same frequencies many times within a geographical area. This densification of networks will become increasingly commonplace as 5G will require a very high density of tiny antennae. It will run on millimetre waves (mmwaves) which must be relayed between the antenna, around obstructions such as trees and buildings. O2’s research, ‘The value of 5G for cities and communities’ report, launched in March, claims that 5G will “update the operating system of our cities”, making them smarter and creating tangible benefits for citizens and local councils – contributing £6 billion in productivity savings to the UK economy through means such as smart energy grids, more efficient refuse collection and smart street lighting. Arqiva has comprehensive concession contracts with 14 London boroughs, including within the boroughs of Hammersmith and Fulham, Richmond upon Thames, Wandsworth, Camden and Lambeth. This entry was posted in 5G and tagged 02, 5G, arqiva on April 16, 2018 by Tim Cosgrove. Culture Secretary Sajid Javid today (Thursday) announces a landmark deal with the four mobile networks to improve mobile coverage across the UK. As part of its long-term economic plan, the Government has secured a binding agreement with the mobile networks EE, O2, Three and Vodafone to tackle poor signal issues in so-called ‘partial not-spots’. No cash payments will be made by Government to the mobile networks as part of this agreement. This deal will also result in cutting total ‘not-spots’ where there is currently no mobile coverage by two-thirds. This will support the Government’s existing £150m programme to take mobile coverage to the areas of the UK that have no coverage at all. As a result of the agreement, many areas will receive better data coverage, some for the first time. During the recent consultation process, consumers made it very clear that they feel any solution should include better data coverage. “I am pleased to have secured a legally binding deal with the four mobile networks. Too many parts of the UK regularly suffer from poor mobile coverage leaving them unable to make calls or send texts. provides some of the best coverage of any major European country – underpinning the Government’s long-term economic plan. 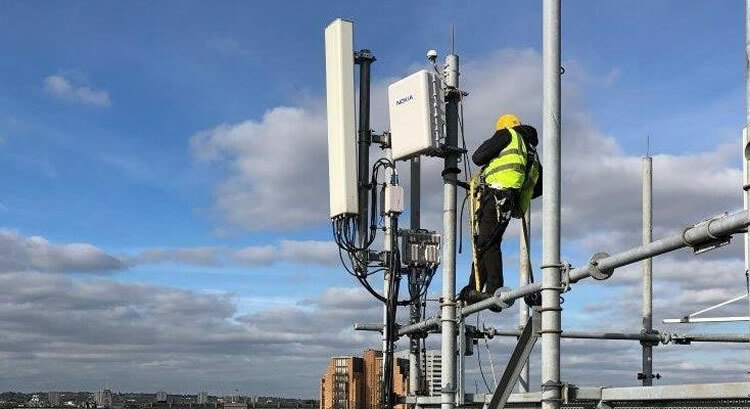 is allowing many of the Government’s freehold buildings to be used as sites for mobile infrastructure – potentially opening up hundreds of sites to boost mobile coverage, including areas where is has been previously difficult to rollout network coverage. “We support the Government’s objective of delivering better coverage to rural areas including partial not spots. This is why Vodafone is already spending £1 billion on our network and services in the UK this year alone and will continue to spend a similar amount next year as well. This entry was posted in 4G, Networks and tagged 02, 2G, 3., 3G, 4G, data coverage, EE, mobile phone coverage, not-spots, Sajid Javid, vodafone on December 18, 2014 by Tim Cosgrove. In a special article for Mobile News Magazine 02 business director Ben Dowd explains the opportunities 4G brings and how it can dramatically change our lives. 4G is the next logical step in the evolutionary world that is mobile technology. It has businesses asking questions about the possibilities of 4G’s speed, and if this can really change how they work. Looking back over this evolution, the first iteration of a new generation of connectivity came in the form of 2G, allowing us to call and message each other wirelessly. This dramatically changed the way we communicated. However, at this stage sharing media required setting up Bluetooth, finding the other person’s device, and then singularly choosing what you wanted to send with painstaking waiting times. Then 3G came along and once again revolutionised the mobile industry. It allowed us to get the internet on a device on the go, enabling employees to disregard the conventional fixed workspace and gave businesses more flexibility and connectivity. However, we are living in a world where speed can always be faster and reach can always be further, so it was only a matter of time until the need for 4G arose. Why do I need 4G? While it is well documented that the speed of 4G is its differentiator, the question businesses have been asking us is, “What can 4G do for me?” Indeed, it provides up to five times faster communication speeds, but understanding the potential behind the 4G revolution as a result of these speeds is the real key to unlocking its benefits. And one of the most amazing aspects of 4G is that it won’t just benefit larger enterprises, but small businesses from start-ups to one-man bands which rely on the internet will also be able to take advantage of 4G’s speed. 4G has the potential to guarantee limitless ways of working. There will be no more dashing to the office to log on to the Wi-Fi, just to download large documents to another device before a meeting; or returning to the office after meeting with a client, to simply add notes to a current presentation. Employees are able to edit directly on a device in the meeting room, and can therefore instantly send the updated version within minutes. A contractor can make a video call to a structural engineer on a 4G-enabled tablet in a crisis situation and do a walk around of the building. This allows the structural engineer to make site assessments without leaving their desk, in turn enabling them to assist with more queries in a day’s work. Reports can be submitted instantly and wirelessly, and digital photo and video capture will simplify processes and reduce paperwork. Healthcare is also no exception. Nurses out on their daily rounds are able to access up to date patient information in a heartbeat, even in homes which have no internet connection whatsoever. They would be able to update their records in an instant, meaning faster treatment for more patients. If there is a problem, they can then video conference in a specialist in order to assess a situation; thus allowing the specialist to assist with more cases per day as it will permit better remote management and monitoring, with a more accurate diagnosis. Emergency services will also be able to find real value in using 4G. The police are enabled to use wireless video cameras on their person to record any problems and occurrences at huge events. 4G means seamless video streaming to a control room where police can have a better overview of the event, without any disruption in connectivity at crucial moments. GPS tracking allows them to oversee the event with real time tactical monitoring, allowing officers to arrive at a location faster, meaning better even mobility and preventative deployment. Even small businesses can save on costs by using 4G. They will be able to purchase 4G dongles for their small team of employees, instead of using an expensive broadband service that eats in to their monthly allowance. The reality of the potential for retail businesses will be difficult to ignore, as the online shopping via mobile devices industry will experience a significant increase as customers have faster and more reliable internet speeds from which they can get their shopping satisfaction. An increase of £300 worth of sales per month would match their 4G solution investment, thus increasing profits by £60 a month. Multiply these figures for huge retail companies and the outcome and benefits as a result could be huge. Technology will continue to change the world. Businesses are all connected because of the impact on productivity and flexibility the internet has had on our daily working lives. Take these same possibilities wirelessly, and the potential is impossible to ignore. With the technology coming in to place imminently, the responsibility now lies with businesses to ensure they are 4G ready and able to immediately capitalise on the opportunities it is already providing. The ultimate outcome is flexibility. It is important that businesses really capitalise on this development, and don’t ignore the benefits and new capabilities that could make their organisation’s and, in turn, their customers’ lives easier. In a broader sense, and via the possibilities given, companies will see the productivity of their staff improve. This will then enable the business to progress at a faster rate as there will be an increase in products and services being offered and created as a result. Progressing ahead of their competitors will be the ultimate gain in having a 4G-enabled business, and the 4G world will be a better and more productive place as a result. This entry was posted in Networks and tagged 02, 2G, 3G, 4G, Ben Dowd, GPS, Mobile News, WiFi, wireless on November 19, 2013 by Tim Cosgrove. Telefónica UK, which operates using the O2 brand, has announced that it has been selected as the preferred communications service provider for two out of three lots in the UK’s smart meter tender. The Smart Meter Implementation Programme is a major national infrastructure project that will involve the roll out of 53m gas and electricity meters across the UK by 2020, helping consumers to better understand and control their energy usage. The deal to provide the communications services across the Central and Southern regions is worth £1.5bn over 15 years and is subject to contracts being agreed. Telefónica’s proposed communications solution is based on its cellular network in the UK which is ready to support the requirement of smart meters. This will be backed up by the use of mesh technology to connect meters in areas without cellular coverage. A further announcement will be made once contracts are in place. This entry was posted in M2M (machine-to-machine) and tagged 02, cellular, communications, M2M, machine to machine, mesh, smart meter, technology, telephonica on September 1, 2013 by Tim Cosgrove.